There are a few food combinations that never get old. Peanut butter and jelly is one of those combinations for me. I will gladly eat a PB&J most any day. 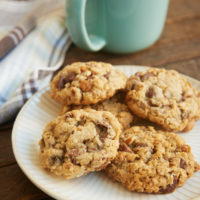 This recipe using that delicious combination recently called out to me from the pages of one of my favorite cookbooks, Martha Stewart’s Cookies. 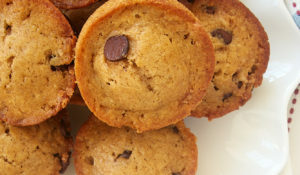 One note about baking these. The directions give a wide range for the baking time: 45-60 minutes. With the jam layer, there was not a good way to test these for doneness. The old toothpick trick would not have worked well. I baked mine for 45 minutes, and they were just right to me. 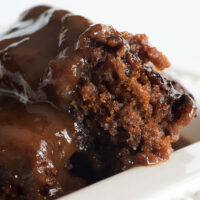 After mixing up this simple recipe, I was rewarded with a delicious, dense treat. While the predominant flavor is peanut butter, the jam adds a little extra kick of sweetness. I used strawberry, as recommended in the recipe, although you could easily substitute your favorite flavor. For sandwiches, I definitely prefer grape. What flavor of jelly do you like with your peanut butter? Preheat oven to 350°. Butter a 9″x 13″baking pan. Line bottom with parchment paper. Butter the parchment and dust with flour, tapping out the excess. Beat butter and sugar together on medium speed of an electric mixer. Mix for about 2 minutes, until fluffy. Add eggs and peanut butter, and beat about 2 minutes or until combined. 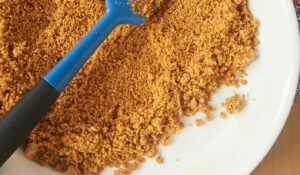 In a separate bowl, whisk together flour, salt, and baking powder. Add to butter mixture and beat on low speed until combined. Add vanilla and mix. Transfer two-thirds of dough to pan and spread evenly. Spread jam on top of dough. Crumble remaining dough on top of jam. Sprinkle with peanuts. Bake for 45-60 minutes, or until golden. Rotate pan half-way through baking. Tent loosely with foil if bars are getting too dark. Cool on a wire rack. Run a knife around the edges to loosen. Refrigerate 1-2 hours. Cut into bars and store in an airtight container at room temperature. Recipe adapted from Martha Stewart’s Cookies. love these, love that book. have you tried making the chocolate crackles yet? they are to die for! those look amazing! pb&j really is the best combo. i’m not sure i have a favorite jelly, but i love peanut butter and bananas! These look great. Love the combo of pb & j. My favorite jam would have to be raspberry. I do love grape though. I also love a pb & h (honey), as well as the old pb & b (banana). Can you just not go wrong with peanut butter in any way? I think not. I’d have to stick with the strawberry jelly/jam. Although, I’ve been known to switch it up with blackberry. Oh man, I love the sound of these. I recently tried making a healthy peanut butter and jelly breakfast bar that came out decent, but a little dry. These look way better though, I think you’ve sold me on them. Funny, I got up this morning and had peanut butter and jam on toast, then came here and saw this! My favourite jam is the homemade nectarine one mum makes, it’s just not as good as the plum! Fe McB, I haven’t tried those yet, but they sound delicious! katy, I have lots of favorite jelly flavors. Hard to pick just one! Katrina, raspberry is one of my very favorites. Thanks, Susan! Blackberry sounds good. I need to get some soon! Nick, these aren’t exactly healthy, but they are definitely delicious! Bekindi, it’s a sign! I don’t think I’ve ever had nectarine jam. Sounds interesting. Wow…these look absolutely amazing!!! 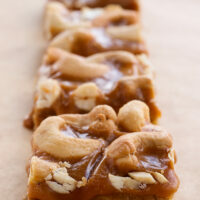 I’ve tried to make my own PB & J bars before, but I’ll definately have to try these! PB & J is like the quintessential combination. 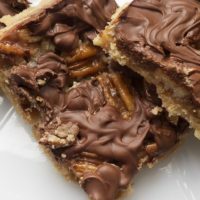 I can think of nothing better… besides chocolate and peanut butter, of course 🙂 I read some other people who bought this cookbook and they enjoy it too. Do the recipes seem pretty reliable? And is the layout reader-friendly? Some of Martha’s books don’t seem to be too trustworthy. Patti, let me know what you think if you try these. Amanda, I’ve liked every recipe I’ve tried from this book. It seems more approachable than some of her earlier books. Lots of pictures, clear instructions. I think it’s a great choice for anyone who likes to bake cookies. Those look so good. What a great way to use such a classic flavour combo. I’ve been loving this book too, I’ve made so many recipes out of, eventually I’ll do a big round up post. Those bars looks delicious! wow…love these and would LOVE to see this re-submitted to TasteSpotting – our cropping tool cropped your picture in a funny way yesterday…maybe resubmit already cropped to 250 x 250 so it looks perfect? Brilynn, it’s a great book. I’ll be on the lookout for your post. I have been meaning to make bars again, Jen. These are amazing! Ooooh, these look so good! I’ll bet the kids would love them! Thanks, Elle! I bet your right. I might have to make these tonight! My jelly preference for nearly all applications (pb, toast, etc) is strawberry, but I find myself longing for the good old days when mom would can homemade black raspberry jelly. To be 6 years old again….sigh. I love PB, it is food of the Gods and I am loving the look and sound of these bars!! 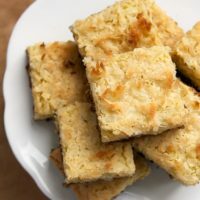 They are on my short list of ‘must try recipes” for sure!! Be still my heart, that first image made it flutter! These look DIVINE. Bookmarked! YUM! Every time I come here, I want to immediately run to my pantry to see if I have the required ingredients. Sadly I don’t have the PB. 🙁 I’ll have to wait to try it. I have that cookie book of Martha’s and I stop every time I see that recipe. Now I’m convinced – I have to make it. That top picture is calling my name. Perfect twist on a classic. I can’t believe I still don’t have that book! auntjone, I love black raspberry! I have some in my pantry that I’m waiting to use in just the perfect thing. bakingblonde, you can’t go wrong with peanut butter! giz, I think it’s well worth making. Hope you will, too! Make and Takes, I bought that book the day it was available. Love it! Hannah, they’re the best, aren’t they? 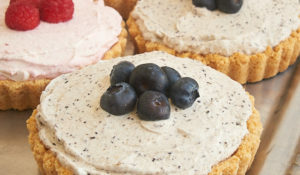 I was wondering if any of you knew of a really good coffee cheesecake recipe. Or mocha cheesecake. Its for my moms bday, and I want it to be mouth tantalizing! Hannah, I’m not really a coffee/mocha fan, but I’ll see what recipes I have in my cookbooks. I’ll drop you an email when I find one that sounds good. Hello! I was reading through your blog and at one point at least you mentioned how encouraging it is to read comments when writing a blog, so I thought to drop you a line. 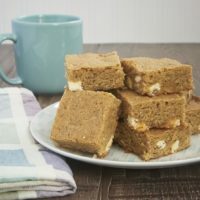 I’m an amateur baker from Finland, Europe and decided two days ago to find two baking blogs that really inspired me and to become a regular reader, one from a Finnish writer and the other from a foreigner. When finding BoB my decision to pick you as the non-Finnish writer was fixed. I’ve now browsed through all of your posts and have already tons of recipes I want to try out! I also like that you don’t only post to recipes, but tell a little about your life and likings as well, it’s so much more fun to read with that personal touch! YUM!! I love peanut butter and am always looking for new recipes to try out! The picture of these looks absolutely sinful! Thanks, bakingblonde! Peanut butter is one of my favorites. These were so yummy! I ate so many of them that I am embarrassed. My only question is, although you said they are supposed to be dense…….should they have been crumbly too? Not so much dry, just crumbly. 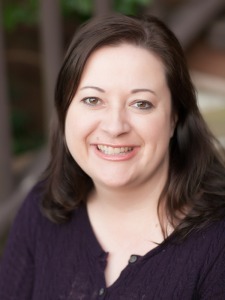 Cyndi, I’m glad you liked them. They were a bit crumbly for me, too. Your site is beautiful. I came to it via a search for coffee cake (which I printed and am in the process of baking, BTW). 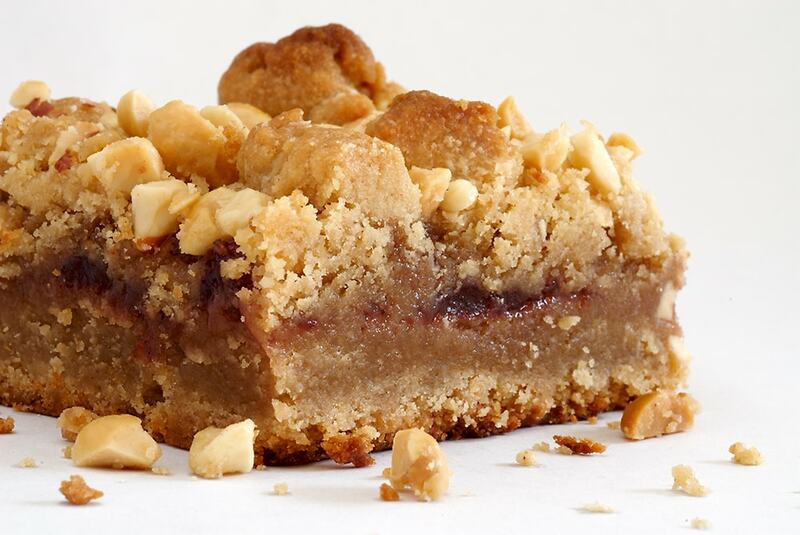 The PB&J bars look amazing! I’d love to try them. 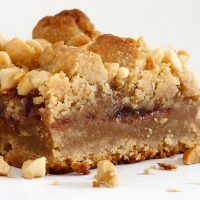 The last time I made PB&J bars, they were Ina’s and they were excellent. Definitely want another PB&J bar recipe in the quiver. chiffonade, thank you so much! I hardly ever make Ina’s recipes, and I really don’t know why not. I’ll be sure to track down her pb&j bars recipe. They’re absolutely divine – and I’m not even a sweets lover!! I absolutely love ligonberry jam on my peanut butter! 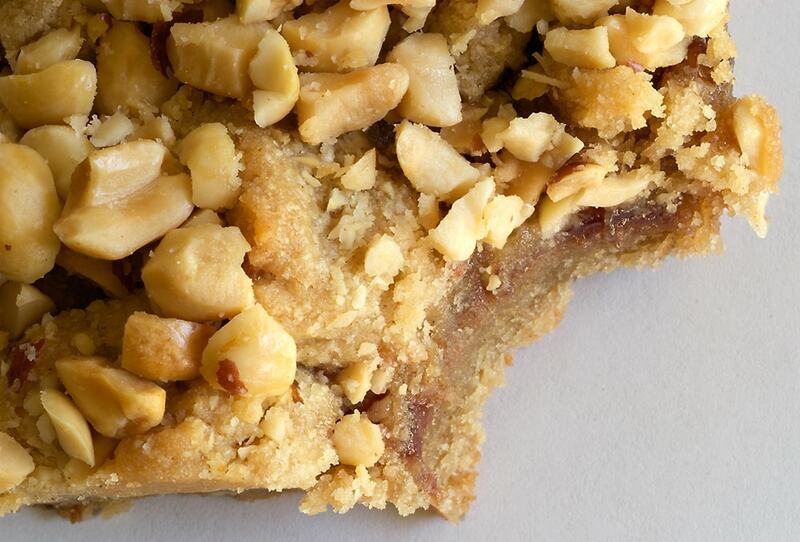 It’s a little tart and cuts right through the peanut butter’s heaviness! This link was for the pb&j bars but it brought me to a cheesecake bar recipe? I would love to try the pb&J bars but…. I’m so sorry about that, Sabrina! My recipe format is getting updated and something went wrong. I’ve switched it back so you should be able to see the correct recipe now. Thanks for letting me know!